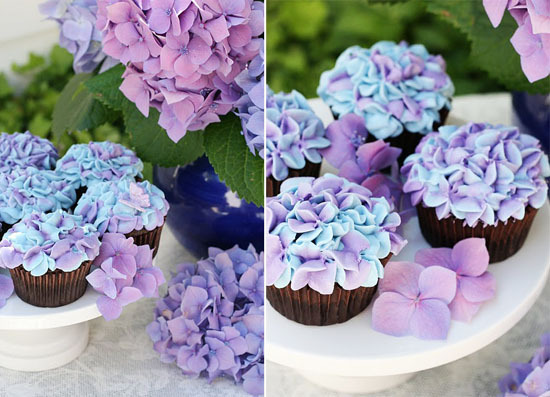 Strawberry Chic: Happy Friday: Hydrangea Cupcakes! 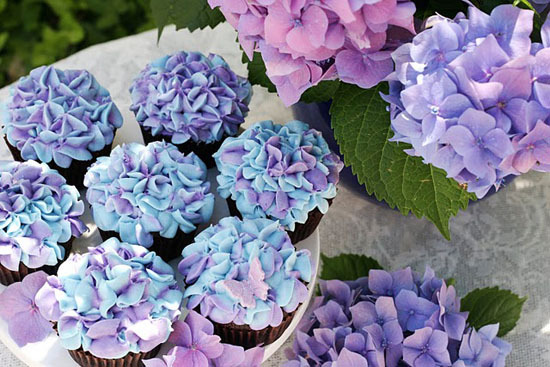 I ran across these lovely hydrangea cupcakes the other day at Glorious Treats and had to do a double take because I almost thought the flowers were real! Hydrangeas are one of my favorite flowers so finding these was a very excited moment for me! This frosting design is quite simple to create and would be perfect for a spring/summer party! To get the how-to, go to HERE and follow the simple instructions! These are amazing! Especially seeing as they're my favorite flower! Adoring them and the blog! These are amazing - little edible artworks! Those are gorgeous! I'm going to make them right now.